The NP21LP NEC projector lamp replacement comes with a genuine original 330 watt Ushio NSH bulb inside. This lamp is rated at 5,500 lumens (brightness equal to the original NEC lamp). This lamp has a rated life of 3,000 hours (4,000 hours in Eco mode). 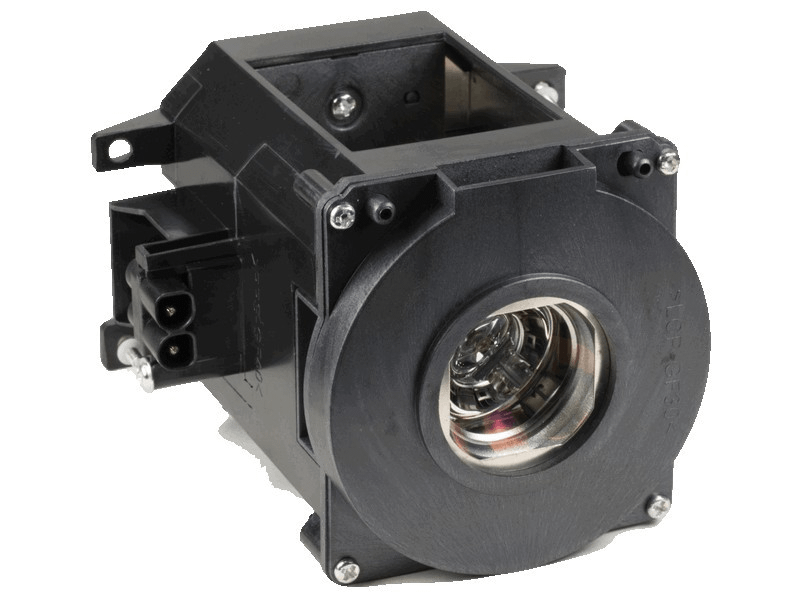 Our NEC NP21LP replacement projector lamps are made with a high quality USHIO brand NSH bulb with main components made in Japan. Beware of cheaper lamps made with generic bulbs with lower light output and reduced lamp life. NP21LP Projector Lamp Replacement. Projector Lamp Assembly with High Quality Genuine Original Ushio Bulb inside. We have 14 NEC projectors that take this lamp and have consolidated our vendors down to one (Pureland Supply) because of the dependability of these replacement lamps. We were tired of buying cheap replacements that kept failing so went with these and very happy we did. Easy quick installation and they always light up nice and bright. Always a pleasure purchasing from Laura at Pureland, the items are in stock, shipped and received with no issues...it's great!! Very fast shipment and it works perfectly - just like the original OEM NEC lamp. We have tried about 4 different companies for the NP21LP lamp and have had various degrees of success. Pureland's lamp seems to hold up best as it has the Ushio bulb inside. We had another company supplying us Osram bulbs that seem to fail earlier. Same brightness but this one is better.